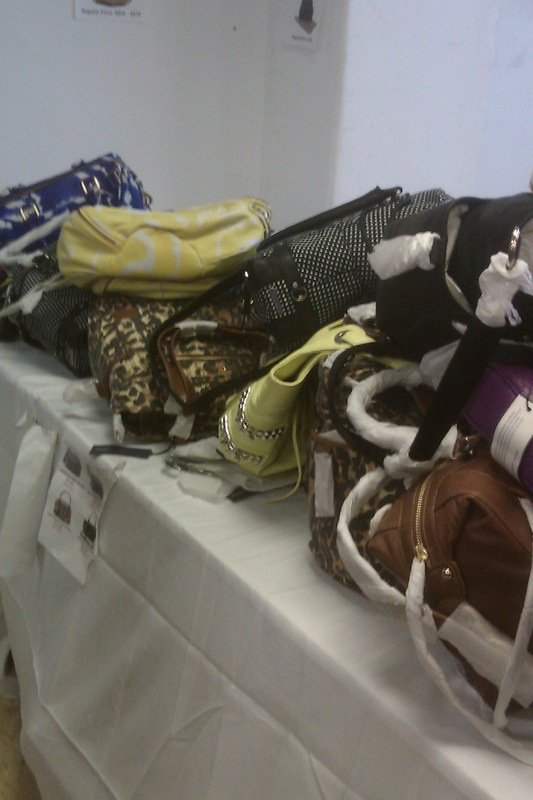 Friday Sass—Rebecca Minkoff Sample Sale Mania! Hola and Happy Friday! 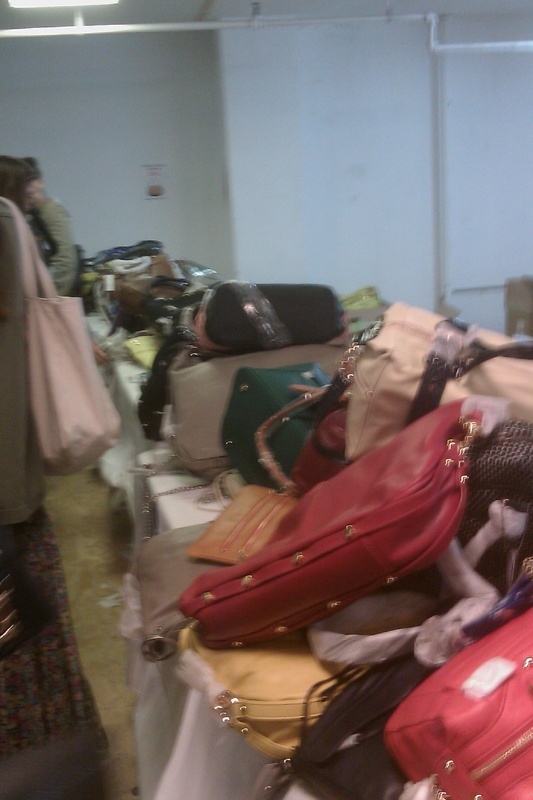 I survived…yes I survived the Rebecca Minkoff Sample Sale. Don’t get me wrong I am not saying that because of a rowdy crowd **even though it was packed** but because I wasn’t hyperventilating while browsing the rows and rows of gorgeous bags! As you all know I am a huge fan of her handbags; they are classic with a chic and contemporary twist. I was lucky enough to go during my lunch hour on Wednesday, which was the first day that it was open to the public. The anticipation was killing me while I was sitting at my desk so I headed out early—left for lunch at 11:45 **that never happens**. Took a taxi down 5th ave and I was there in no time. I wanted to beat the crowd but that didn’t work out too well. As I entered it was a mad house with the checkout line wrapped around the room, ladies with several bags in their hands and security was deep..lol. 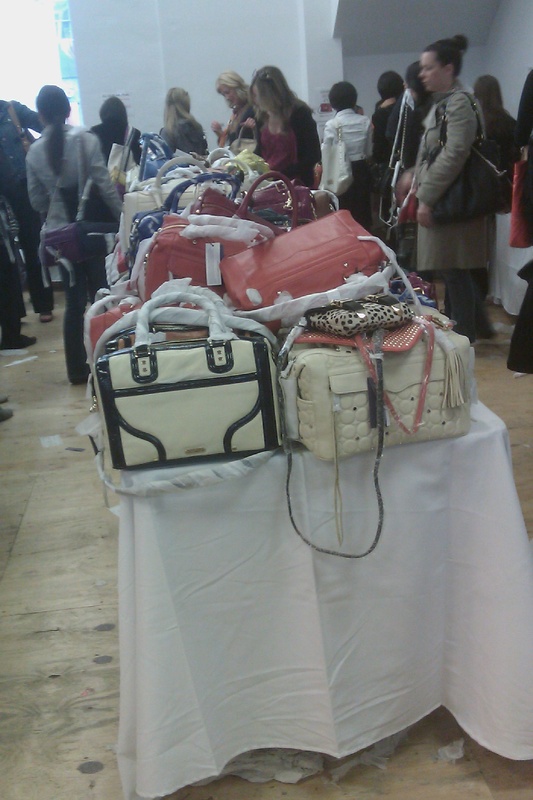 Once inside it was cool, the bags which I assumed was aligned at one point was piled on long tables. The selection was awesome; there were several styles, colors, and textures! I was tactful but swift in my search as I kind of had an idea of the style I wanted but wasn’t quite sure. I kept getting distracted because there were so many to choose from. Finally I nailed it down to the Quilted Flame Satchel in Black. I LOVE it! **Sorry about the blurry pics these were all taken with my phone. Oh, the sale ends on Sunday (155 5th Ave btwn 21st/22nd St)—hurry! Quilted Flame Satchel---I got the black one!